The thickened bleach formula in Drano Max Gel Clog Remover cuts right through standing water, clinging to your tough clogs to blast them fast. It works great to remove hair, soap scum, and other gunky clogs. It’s guaranteed to work the first time or your money back. Clogs happen, but with Drano you and your drains are unstoppable. 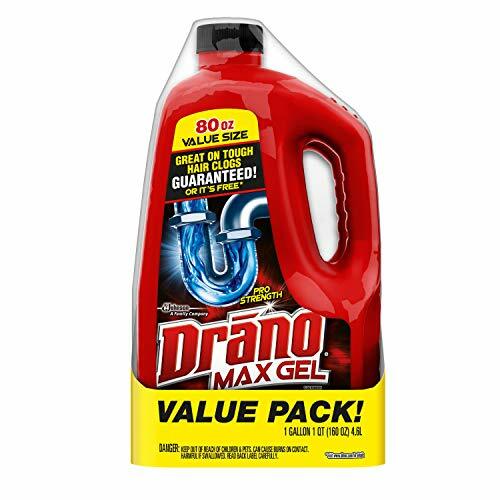 If you have any questions about this product by Drano, contact us by completing and submitting the form below. If you are looking for a specif part number, please include it with your message.